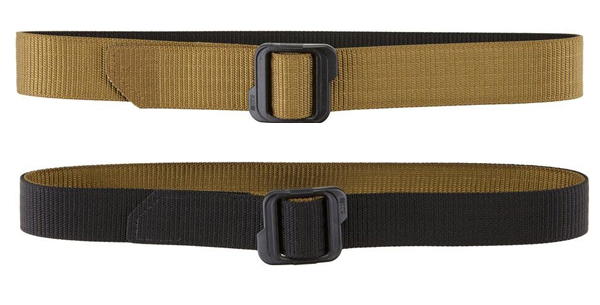 Click the button below to add the 5.11 Tactical Double Duty TDU Belt to your wish list. webbed with five rows of stitching to ensure a strong yet comfortable grip on your waist. Its sturdy structure allows you to carry your gun holster wherever you go. Engineered with a micro-adjustable plastic buckle, this belt is great for air travel allowing you to easily pass through airport metal detectors without setting off the alarm. Furthermore, the 5.11 Tactical Double Duty TDU Belt is also designed with a reversible feature so you can wear the belt in either color. Whether you go out on an outdoor adventure, participate in training or shooting competition, the 5.11 Tactical Double Duty TDU Belt is your ideal companion.